NZ links in this important new review. Maybe this meshes nicely with previous post on potential biochar business models in NZ. 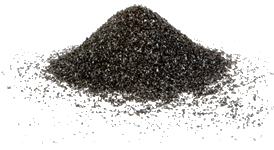 You can read a review here at the Biochar Discussion Group. Forests play a critical role in terrestrial ecosystem carbon cycling and the mitigation of global climate change. Intensive forest management and global climate change have had negative impacts on the quality of forest soils via soil acidification, reduction of soil organic carbon content, deterioration of soil biological properties, and reduction of soil biodiversity. The role of biochar in improving soil properties and the mitigation of greenhouse gas (GHG) emissions has been extensively documented in agricultural soils, while the effect of biochar application on forest soils remains poorly understood. Here, we review and summarize the available literature on the effects of biochar on soil properties and GHG emissions in forest soils. This review focuses on (1) the effect of biochar application on soil physical, chemical, and microbial properties in forest ecosystems; (2) the effect of biochar application on soil GHG emissions in forest ecosystems; and (3) knowledge gaps concerning the effect of biochar application on biogeochemical and ecological processes in forest soils. Biochar application to forests generally increases soil porosity, soil moisture retention, and aggregate stability while reducing soil bulk density. In addition, it typically enhances soil chemical properties including pH, organic carbon stock, cation exchange capacity, and the concentration of available phosphorous and potassium. Further, biochar application alters microbial community structure in forest soils, while the increase of soil microbial biomass is only a short-term effect of biochar application. Biochar effects on GHG emissions have been shown to be variable as reflected in significantly decreasing soil N2O emissions, increasing soil CH4 uptake, and complex (negative, positive, or negligible) changes of soil CO2 emissions. Moreover, all of the aforementioned effects are biochar-, soil-, and plant-specific. The application of biochars to forest soils generally results in the improvement of soil physical, chemical, and microbial properties while also mitigating soil GHG emissions. Therefore, we propose that the application of biochar in forest soils has considerable advantages, and this is especially true for plantation soils with low fertility.